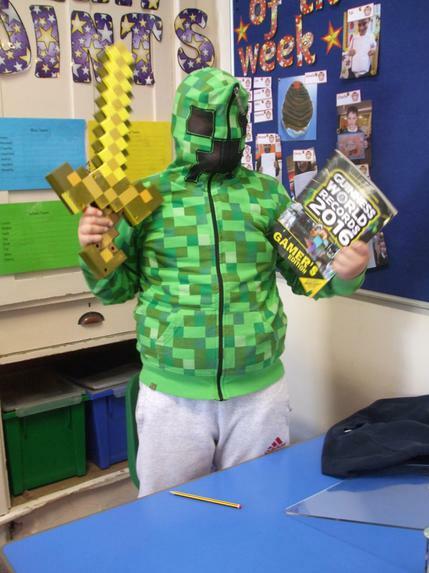 Welcome to 4G's page. 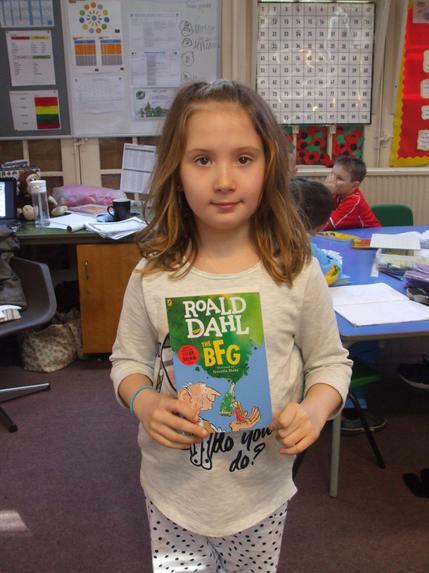 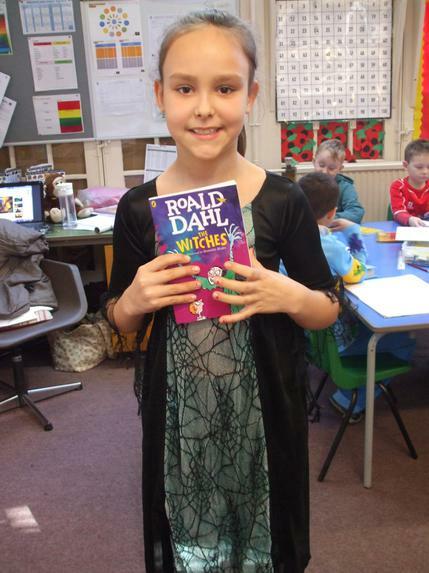 I am Miss Gardner and I will be the class teacher Monday to Thursdays. 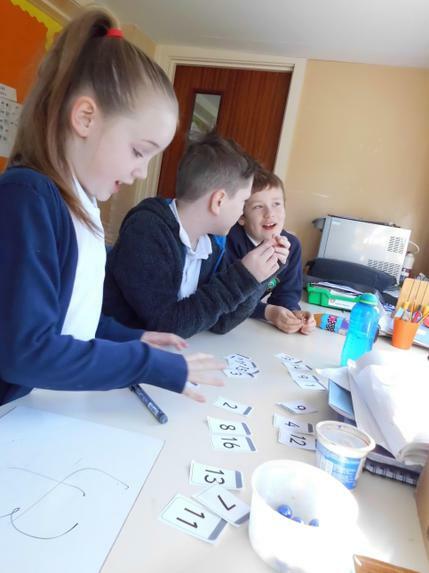 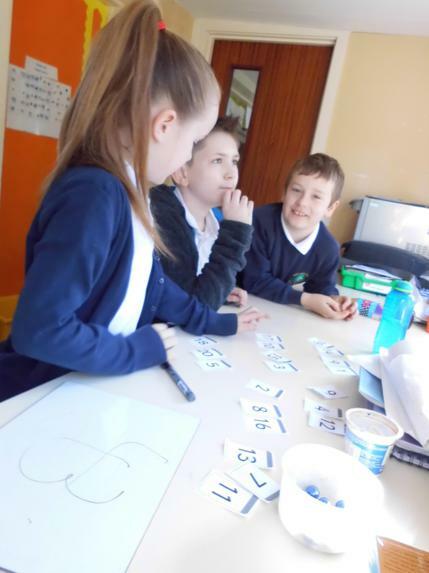 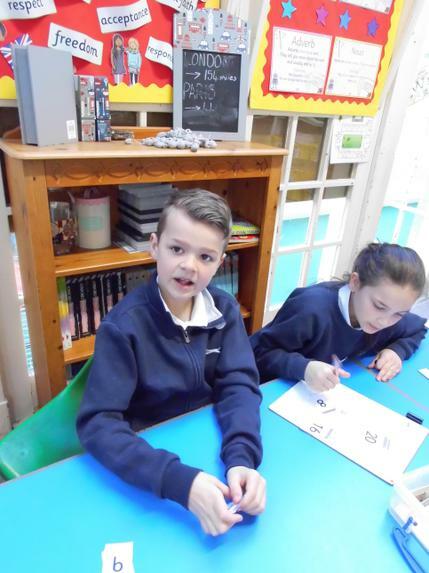 Miss Burdett will teach the class on a Friday where she will teach science, times tables and grammar. 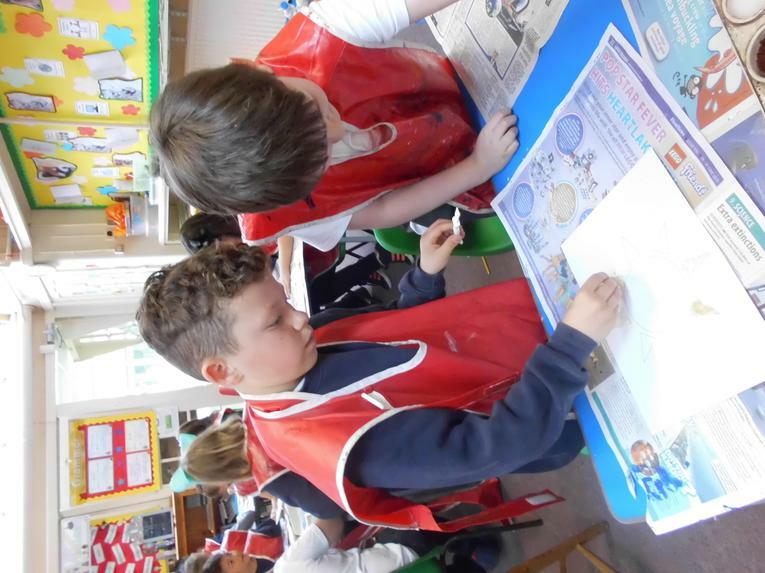 This page will show our work and achievements and it will include any important information. 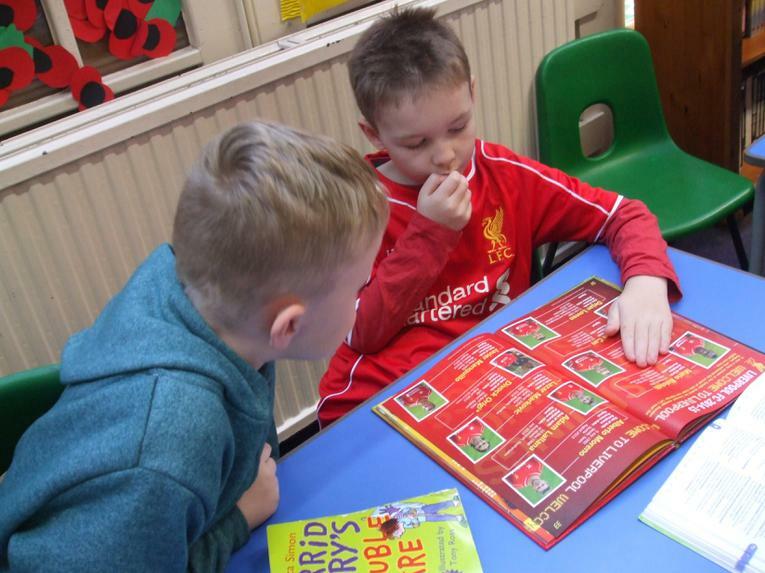 Our spelling test is on a Monday morning and we have PE on a Thursday afternoon. 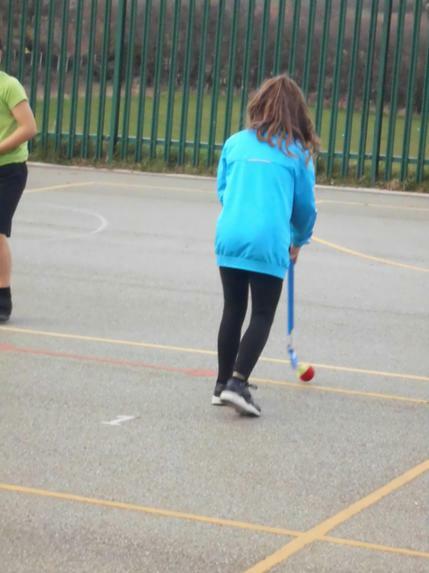 Please contact me or Miss Burdett if you have any questions or concerns. 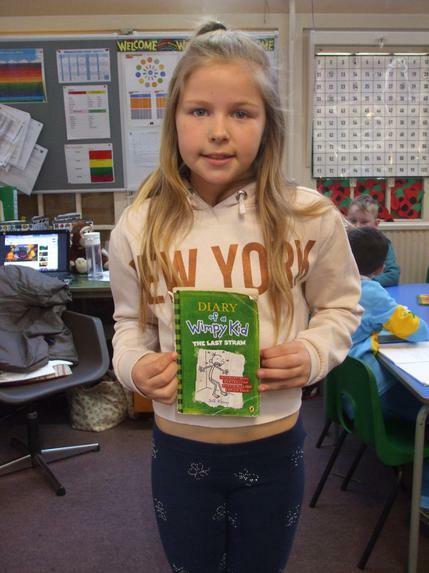 Children will get a piece of Maths or English homework every week. 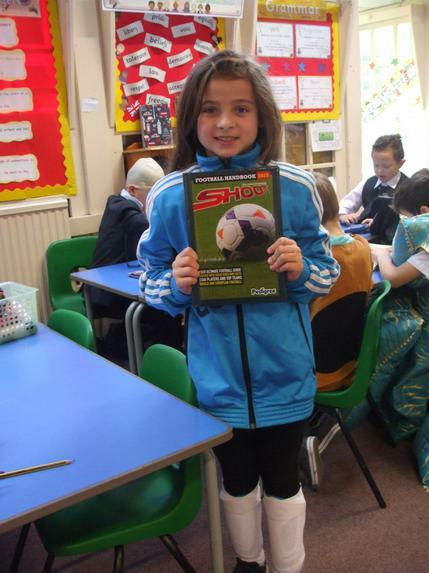 This will be given out every Thursday to be back in for the following Wednesday. 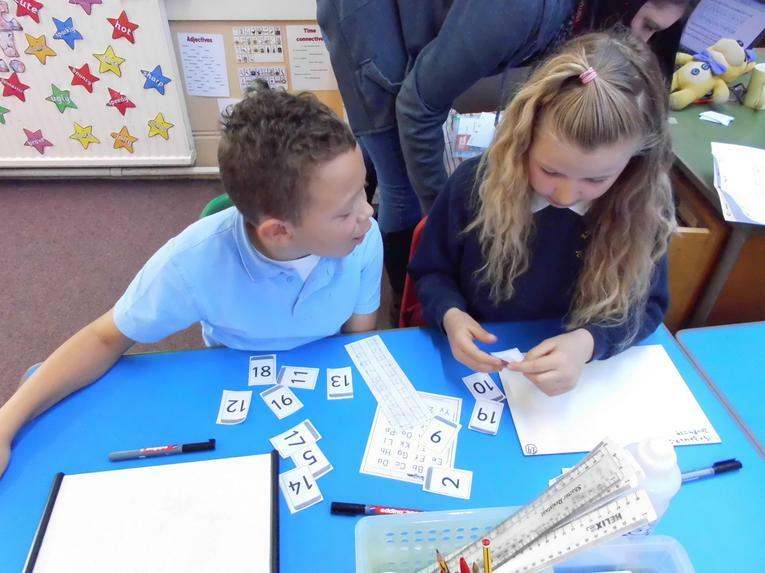 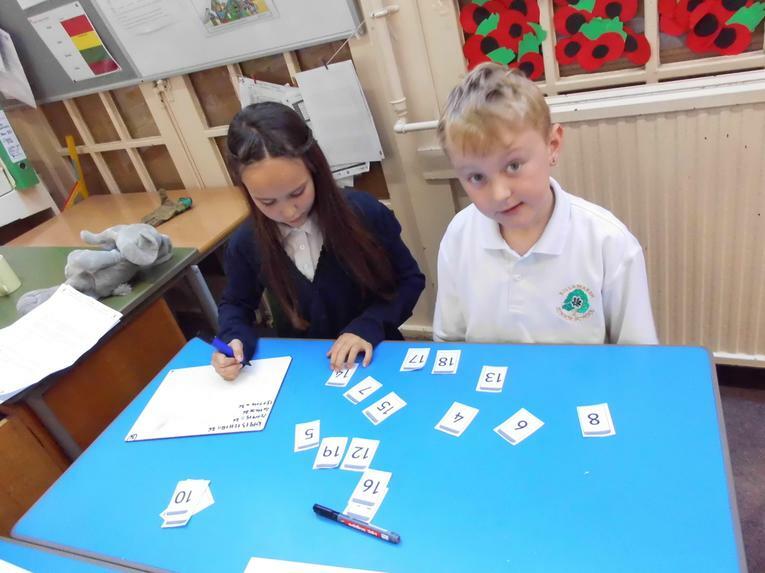 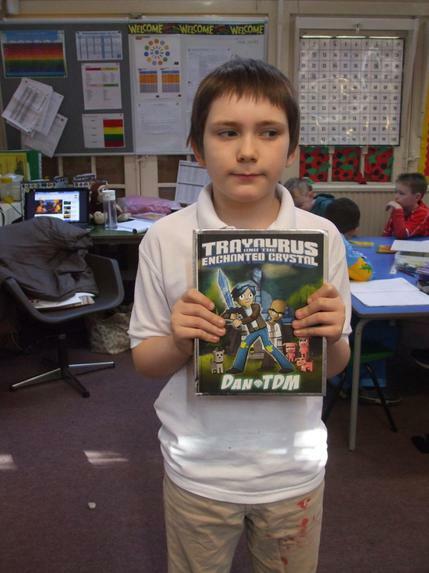 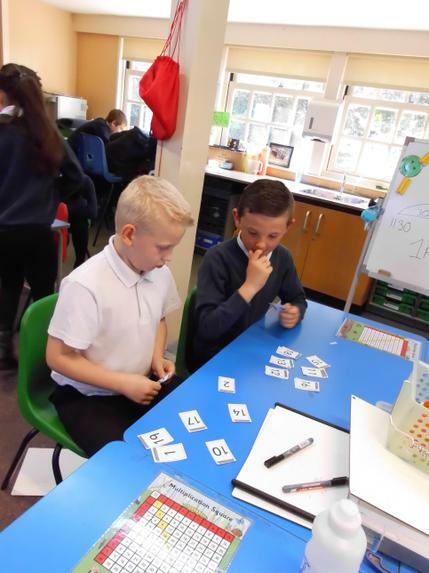 I would also like children to practise their times tables as they will have a test every Friday with Miss Burdett. 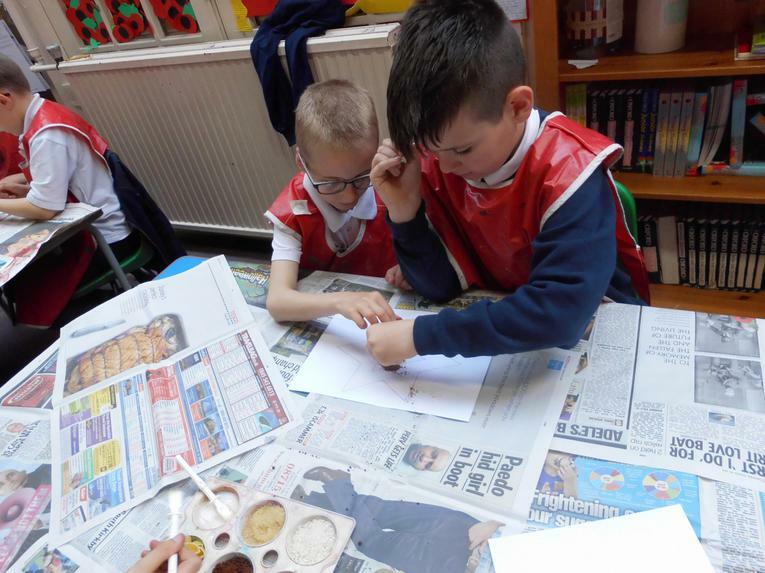 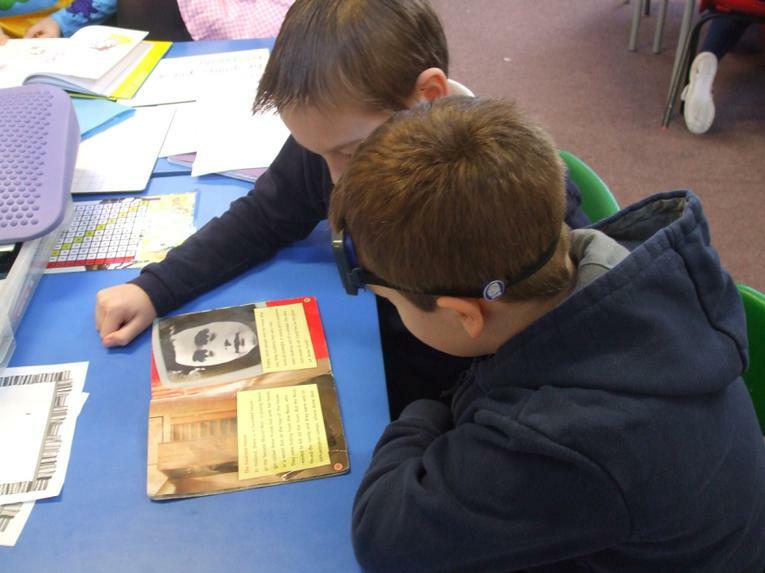 If children would like to do extra homework for extra merits, they can produce a project that relates to their current topic. 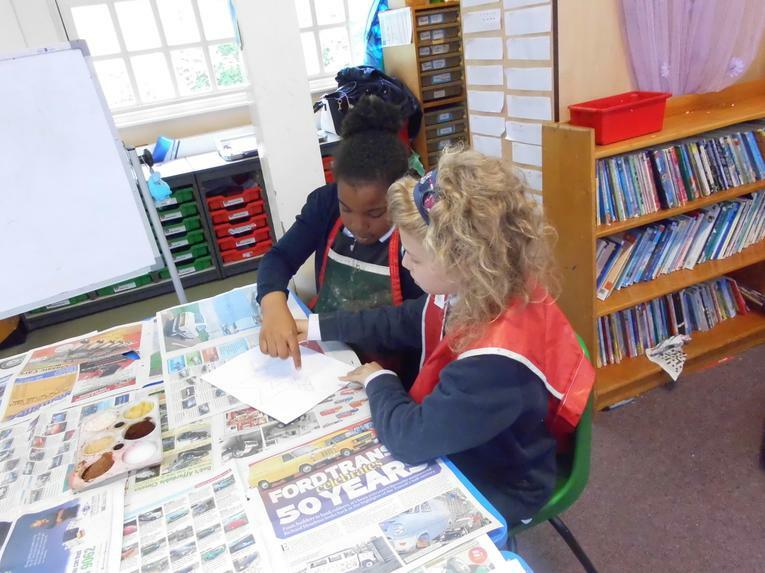 I will give them a sheet with ideas on to help them. 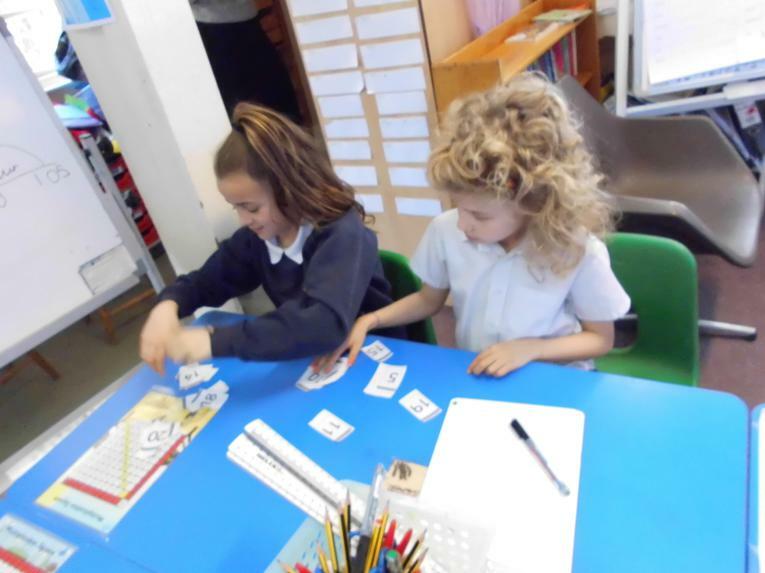 In maths this term we will be looking at 2D shapes and angles. 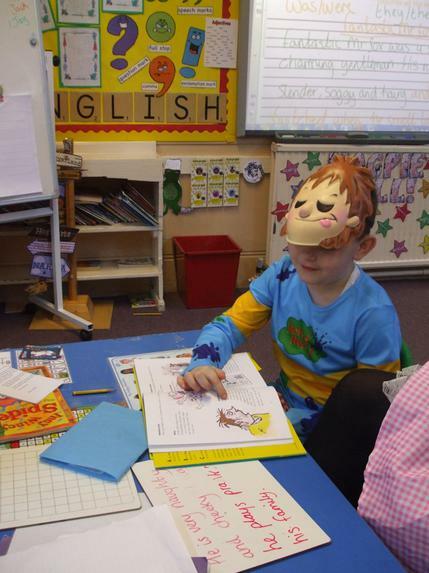 It would be helpful if children continued practising telling the time at home. 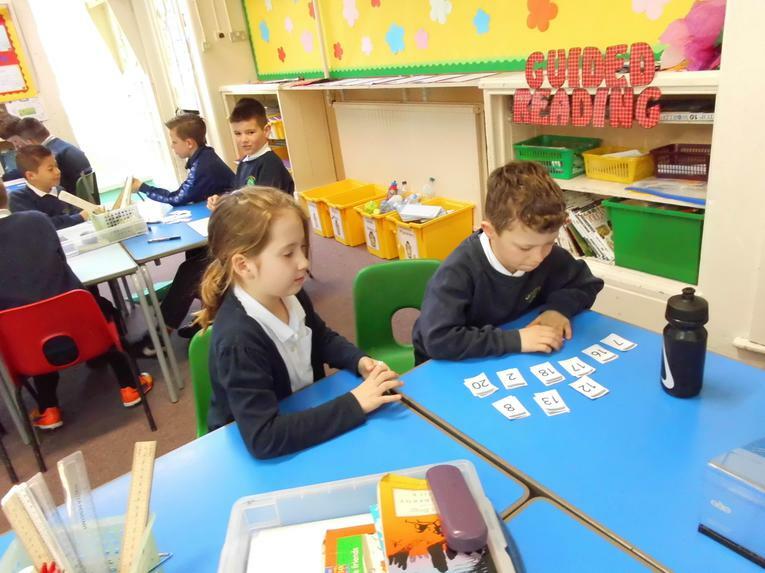 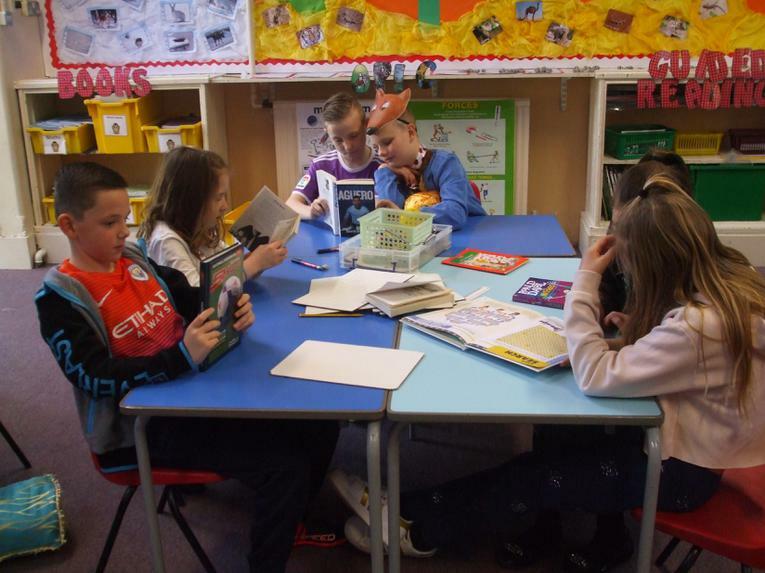 They have all been fantastic at reading clocks! 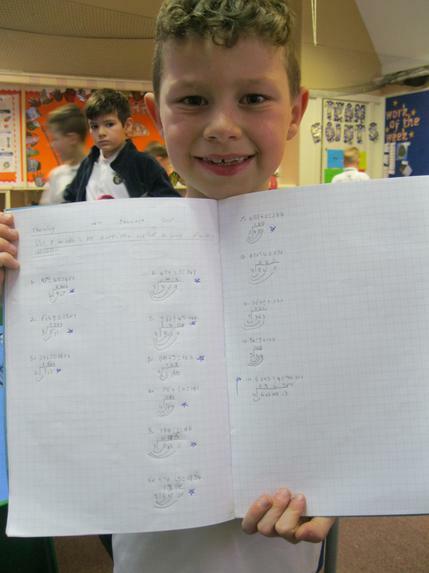 Here is Finlay showing fantastic maths work which received work of the week. 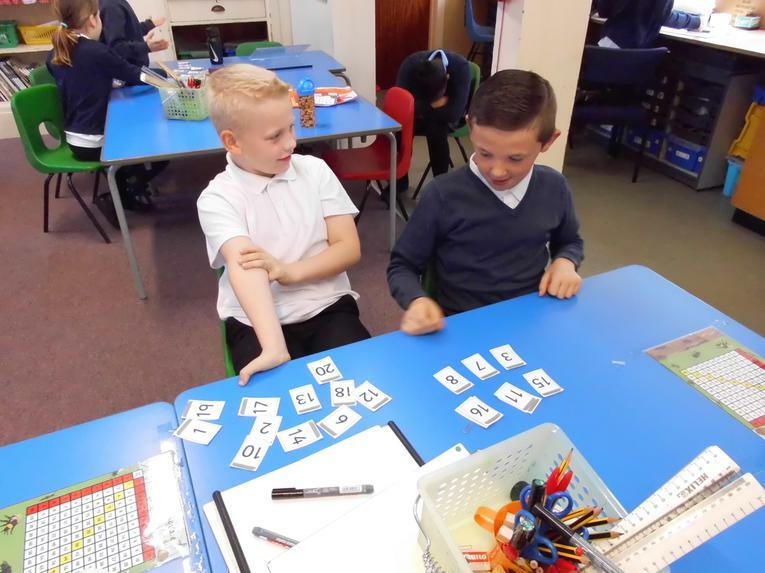 We worked in pairs to solve a tricky problem in maths. 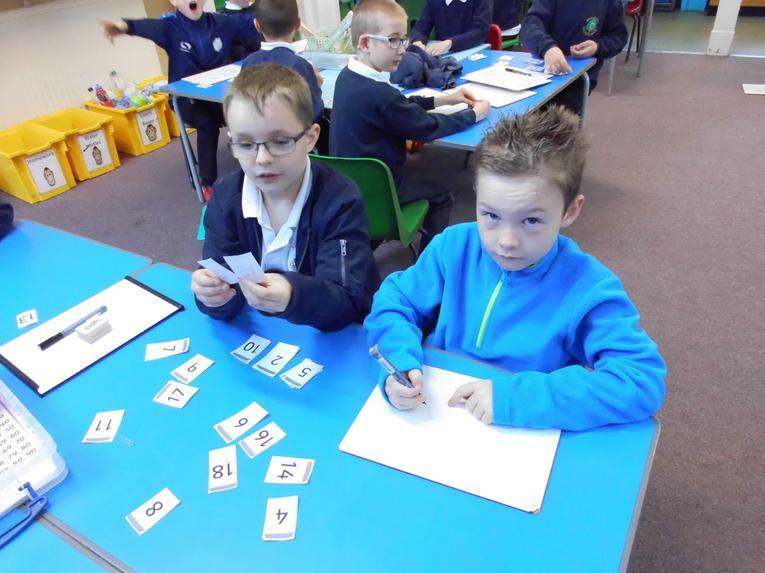 We had number cards 1-20. 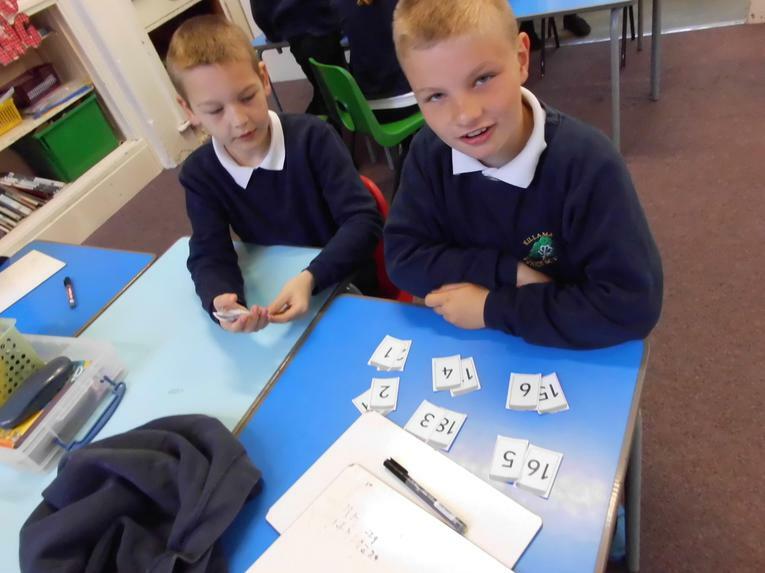 We had to make 6 unequal piles and each pile had to add up to the same number. 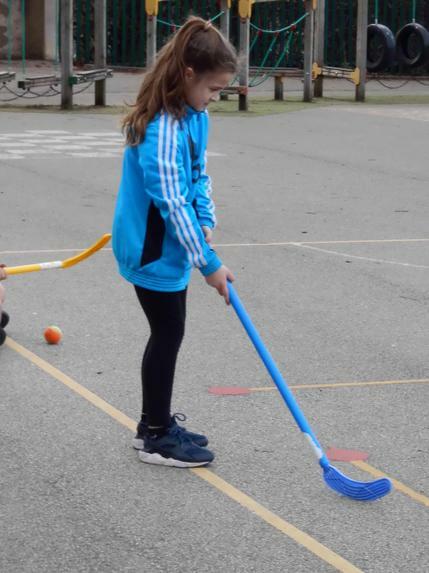 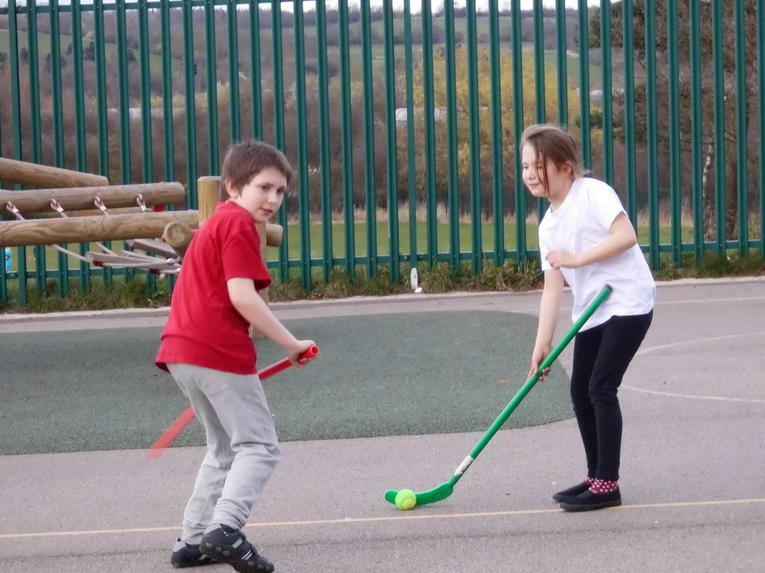 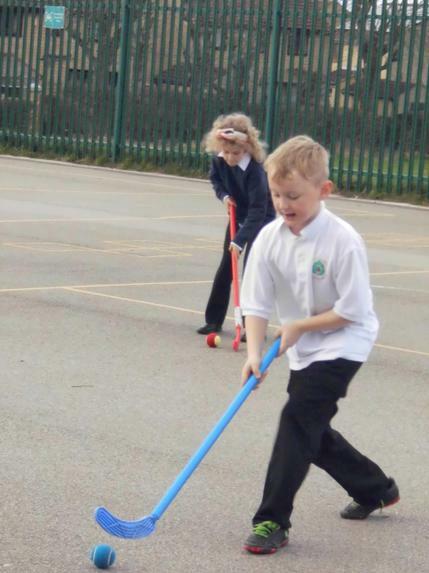 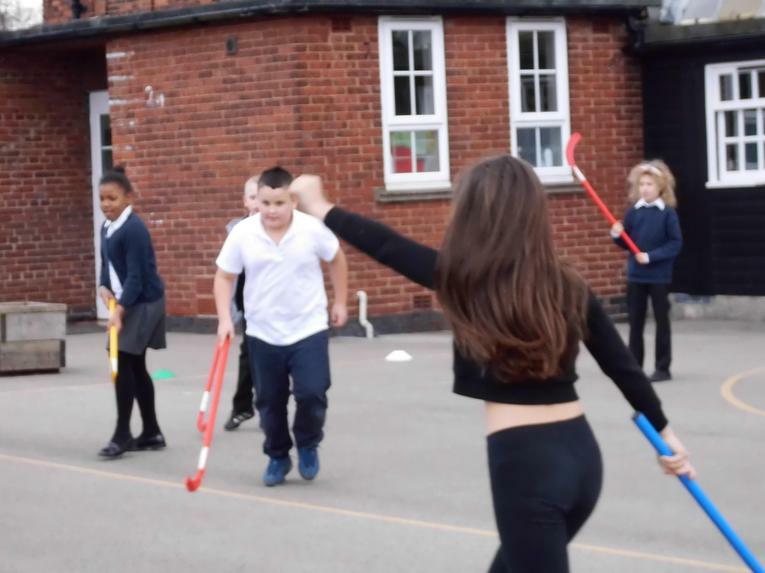 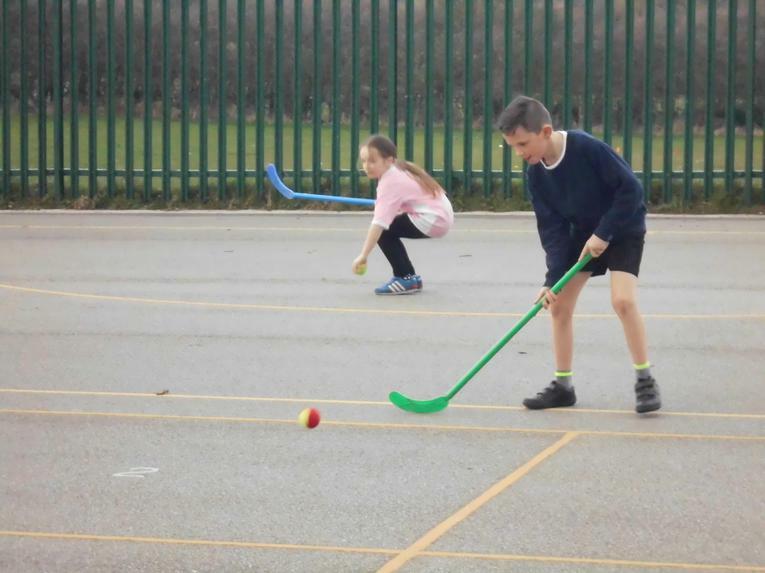 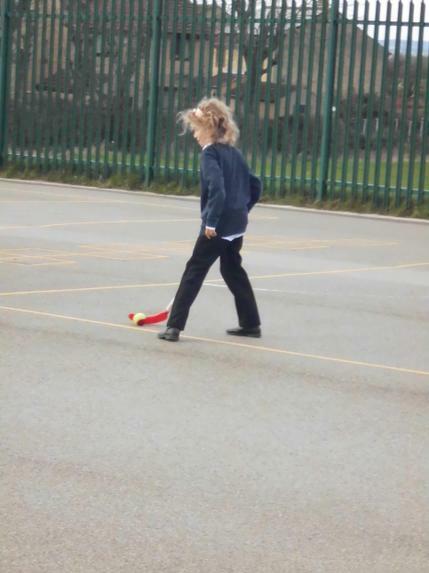 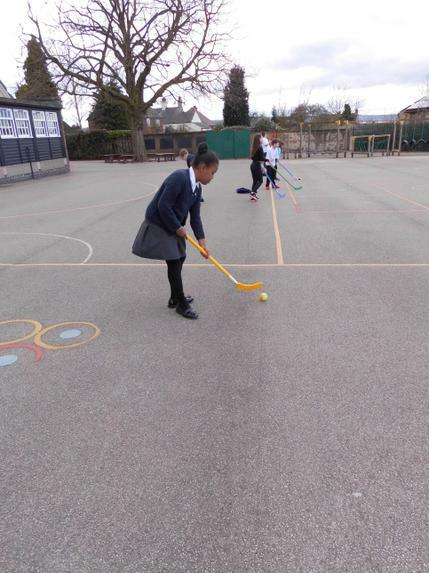 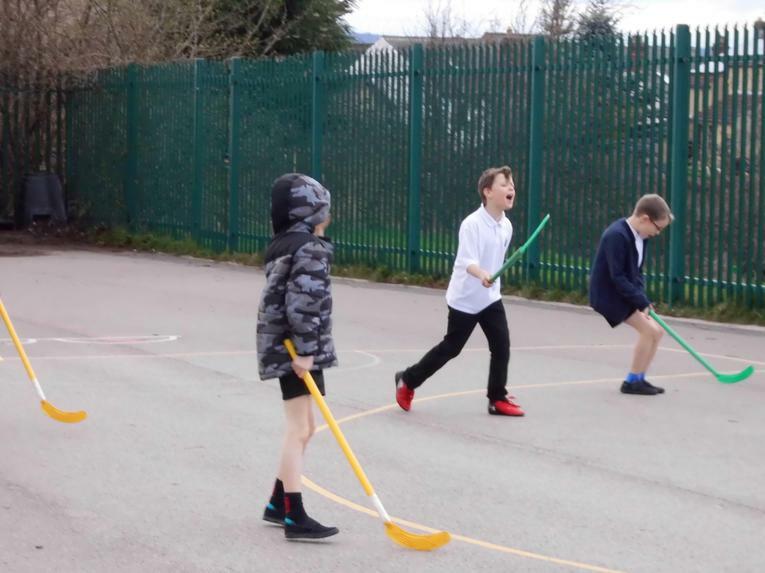 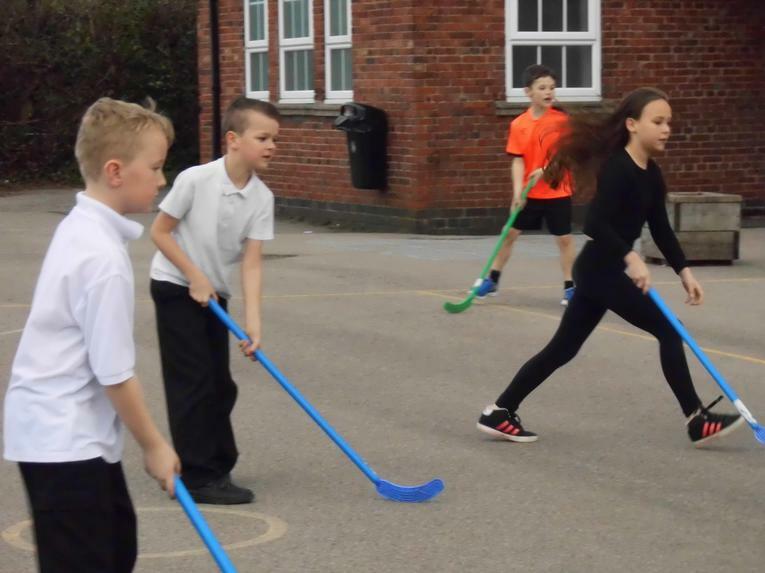 Last term we played Hockey in PE. 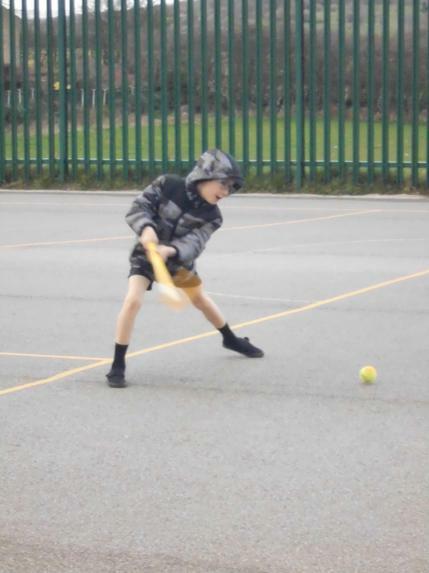 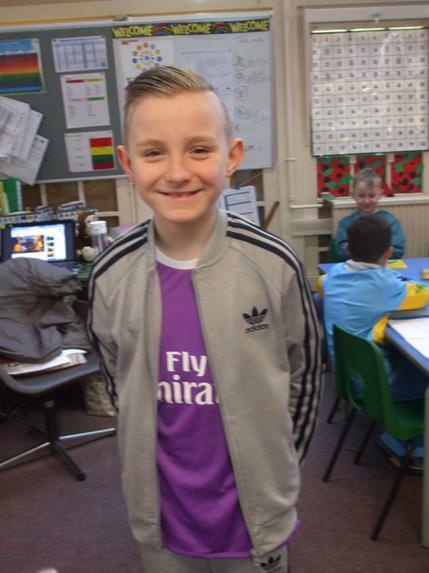 This term we will be playing tennis. 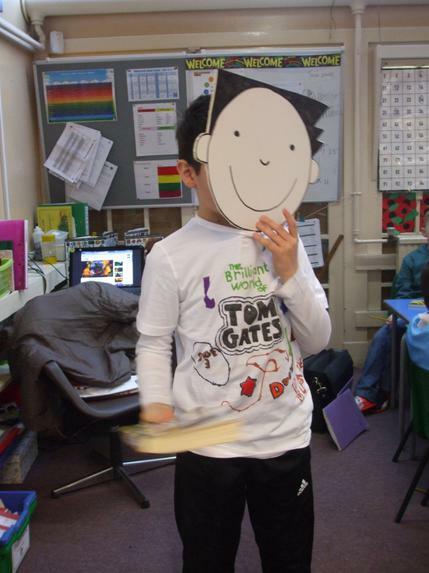 Our topic this term is " Good to be Green". 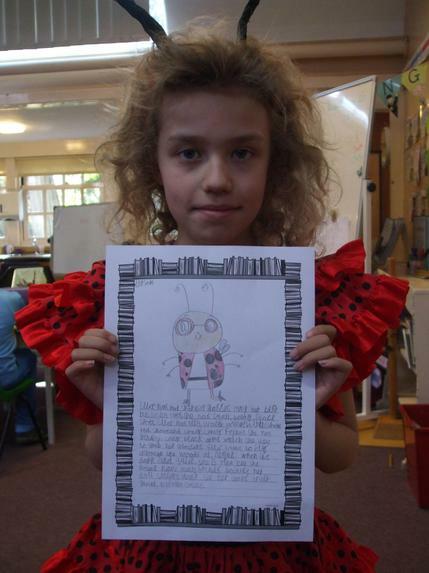 We have been learning all about endangered animals, recycling and fair trade. 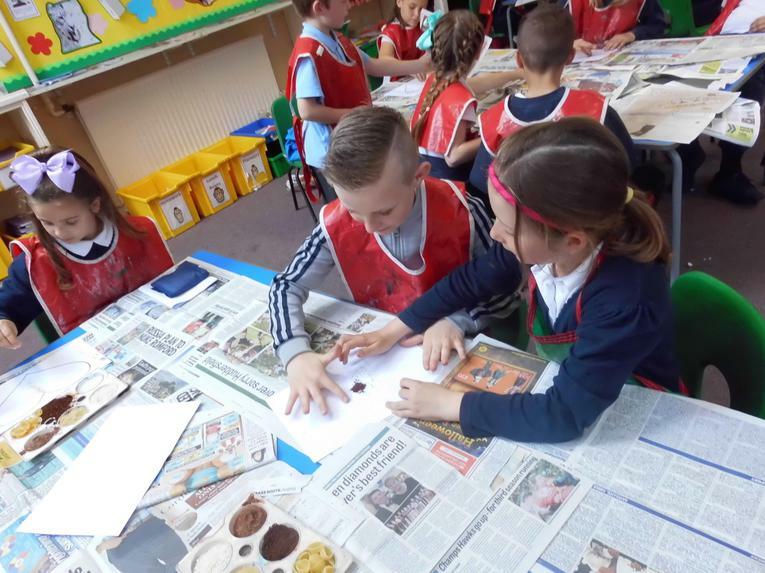 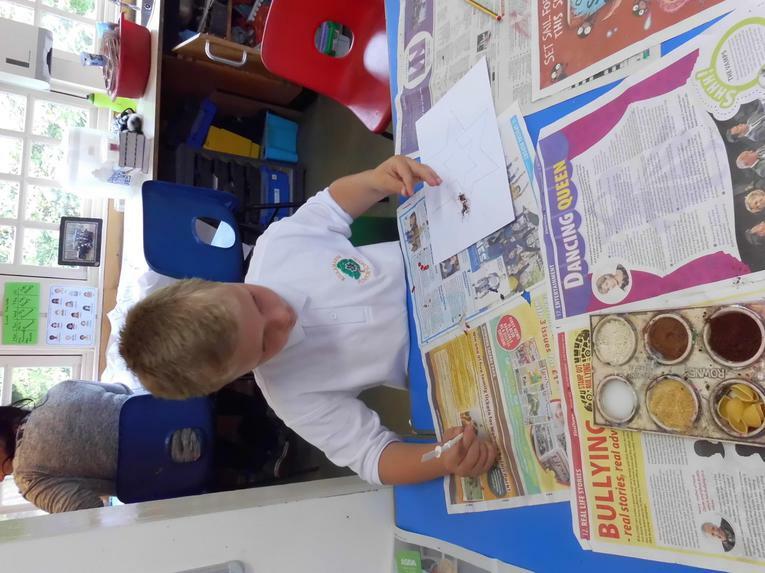 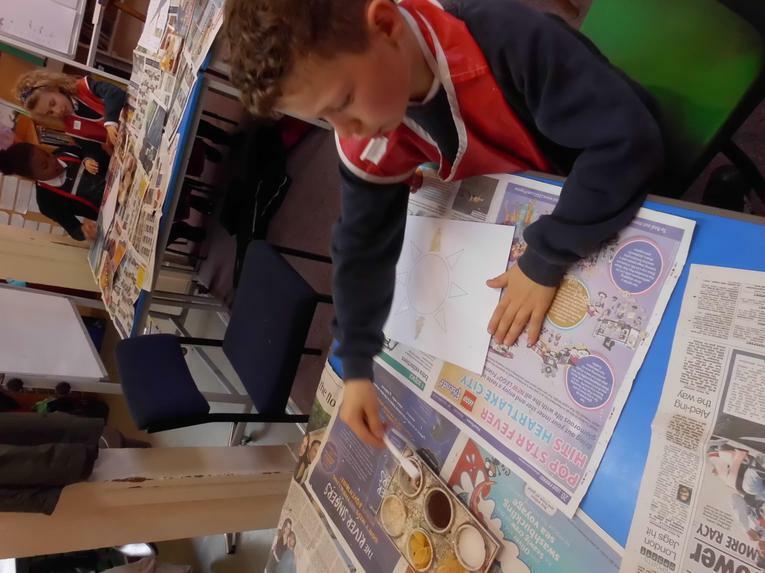 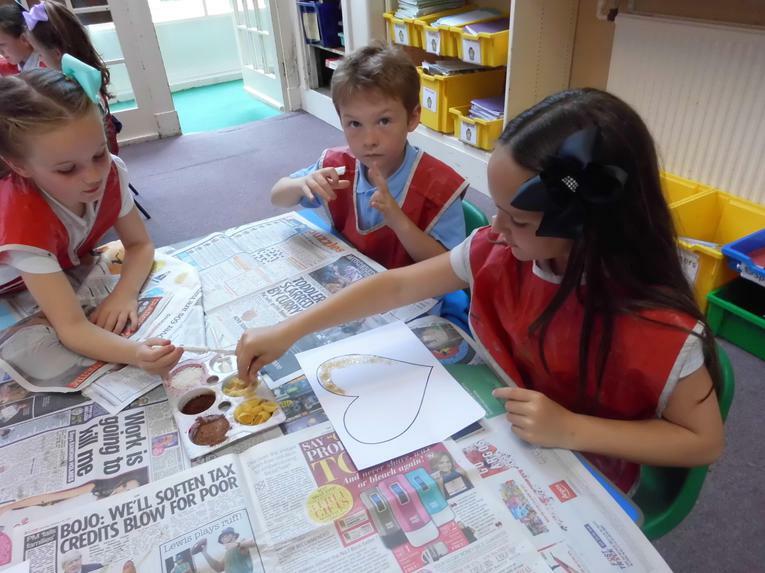 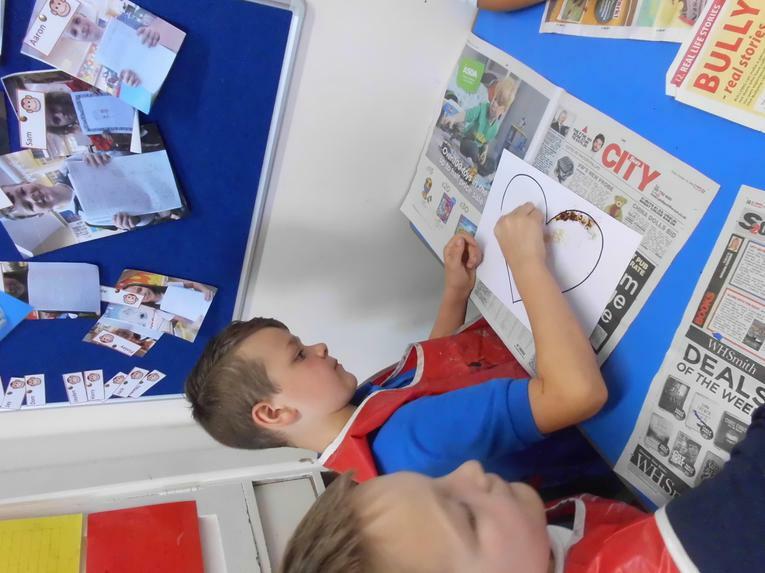 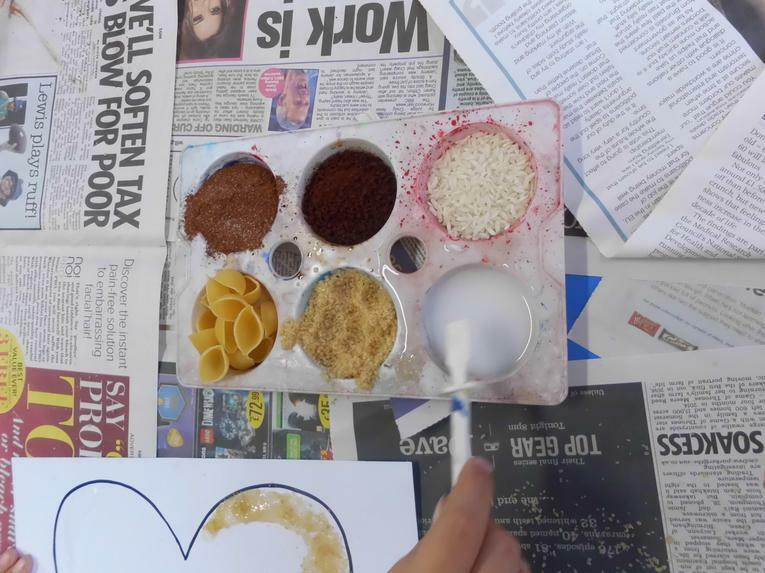 Here we are making pictures with fair trade products- Rice, Sugar, coffee and chocolate. 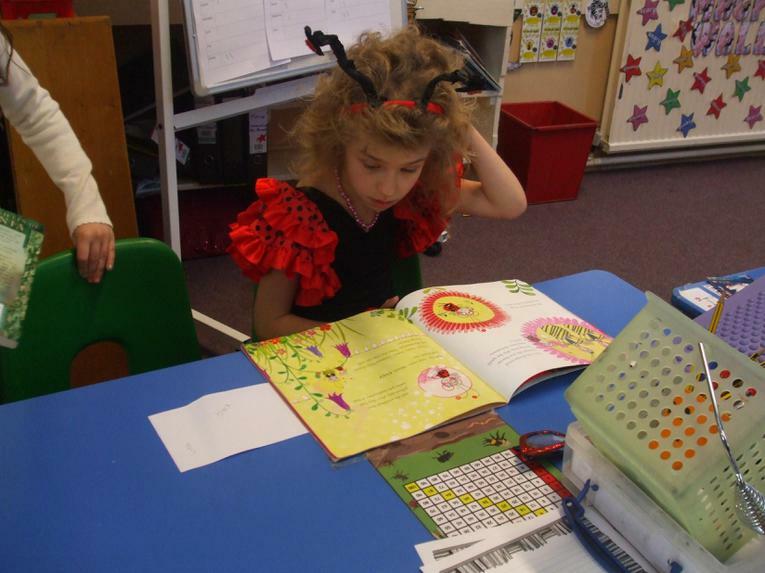 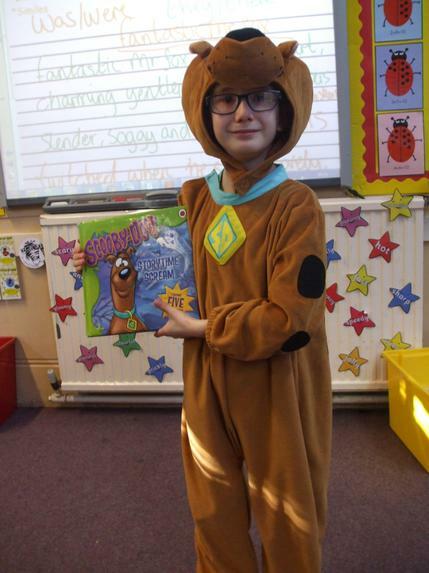 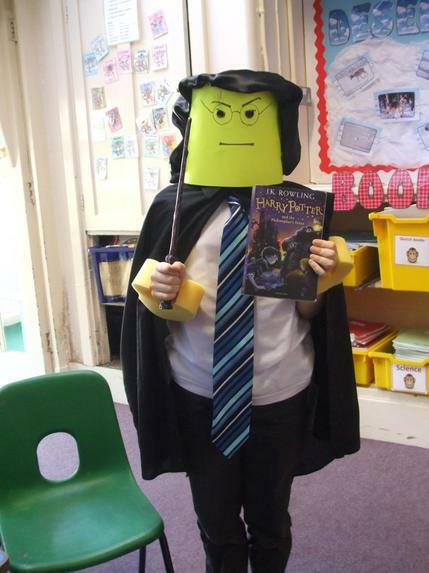 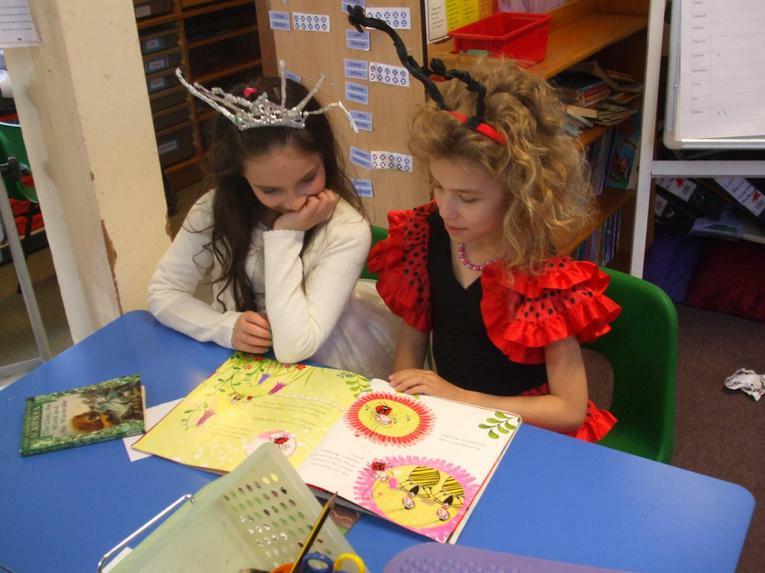 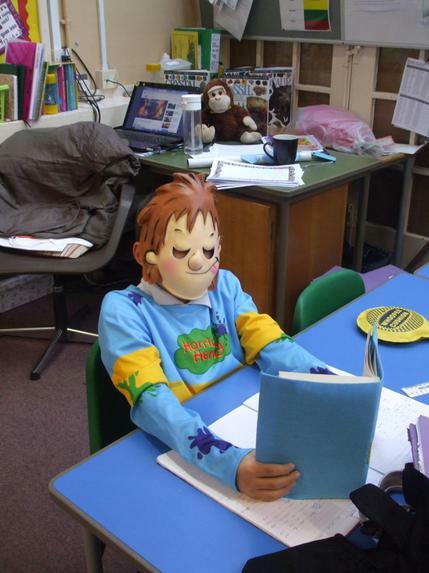 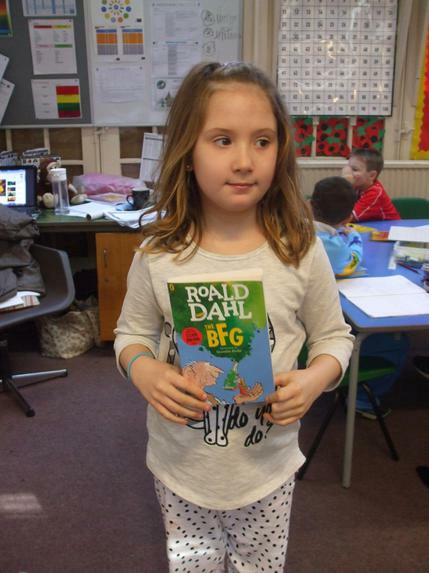 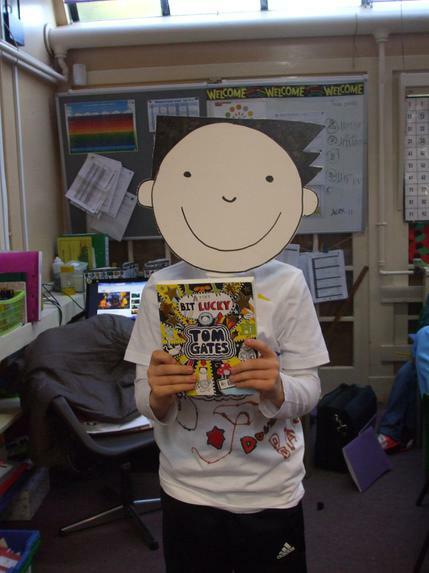 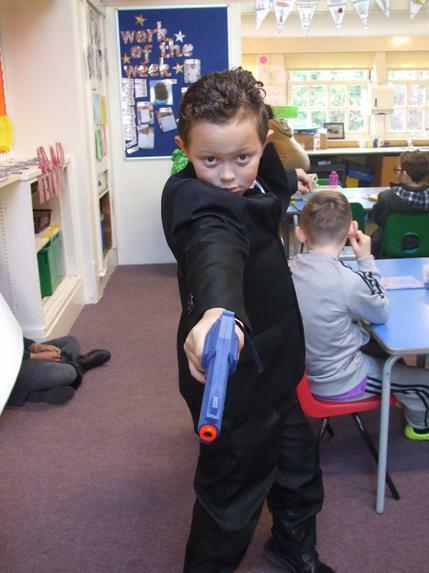 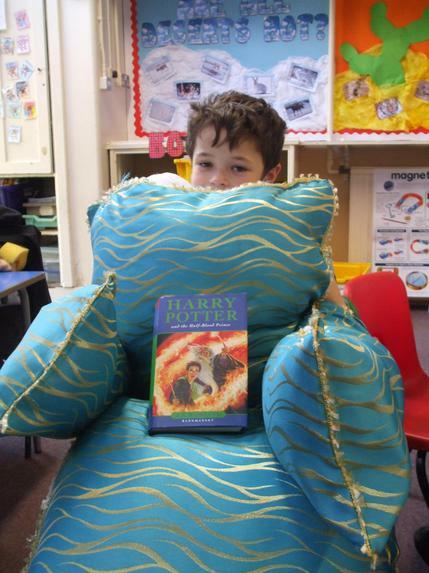 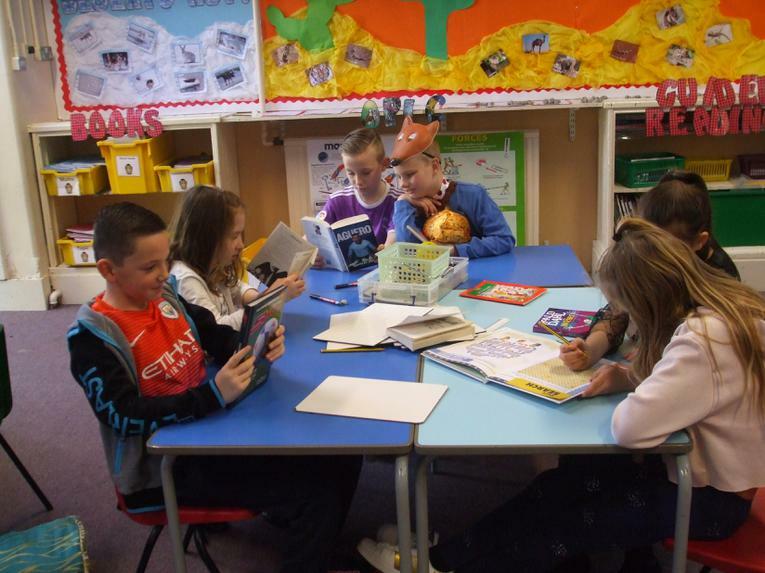 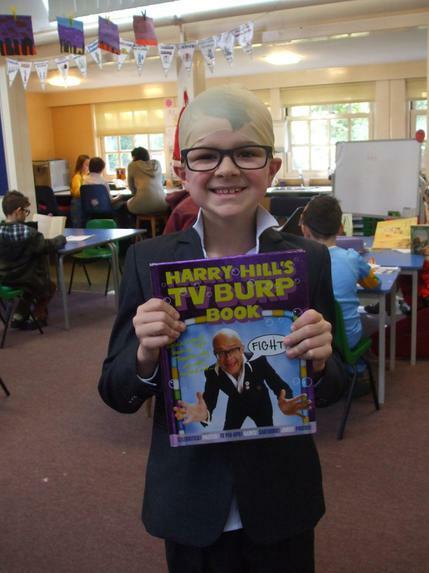 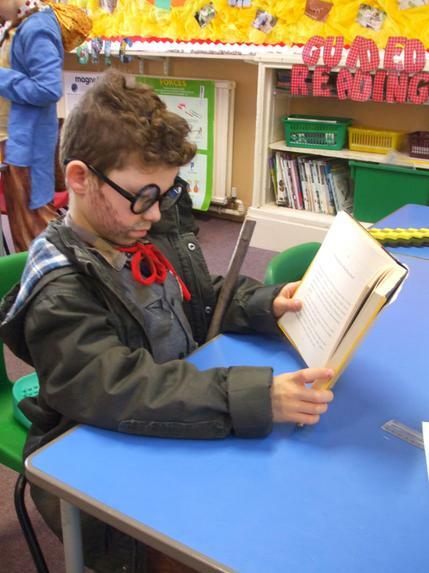 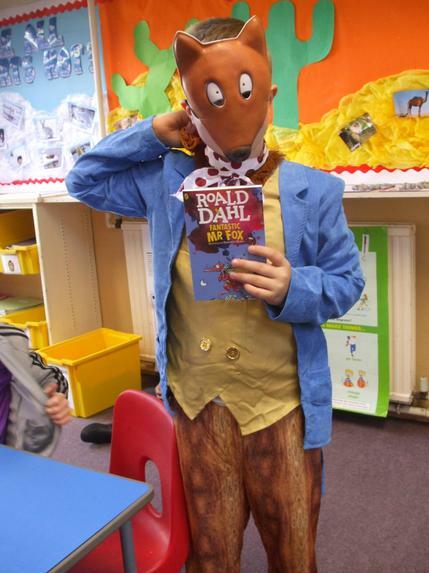 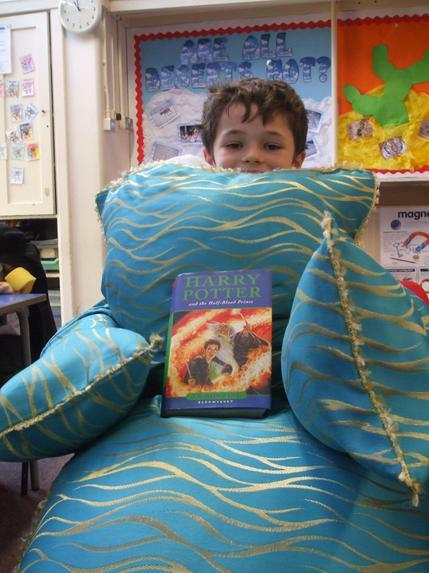 The children made a fantastic effort for 'World Book Day'. 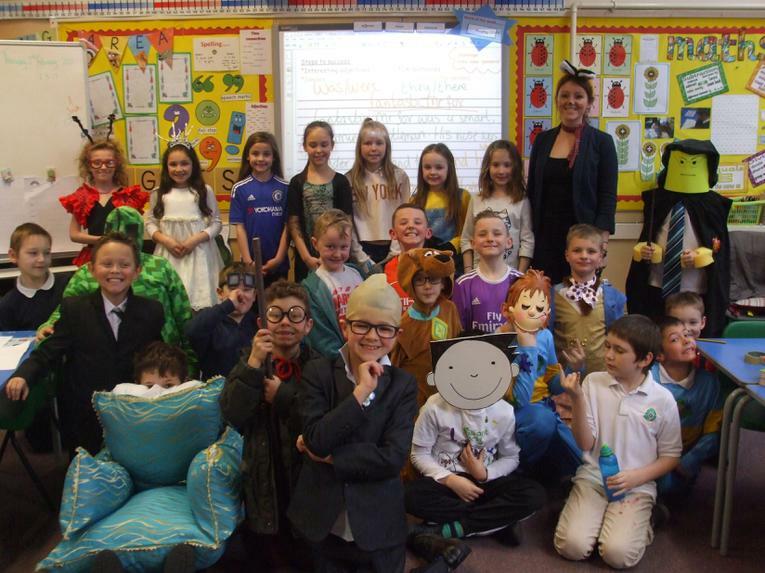 Here are the children in their creative costumes. 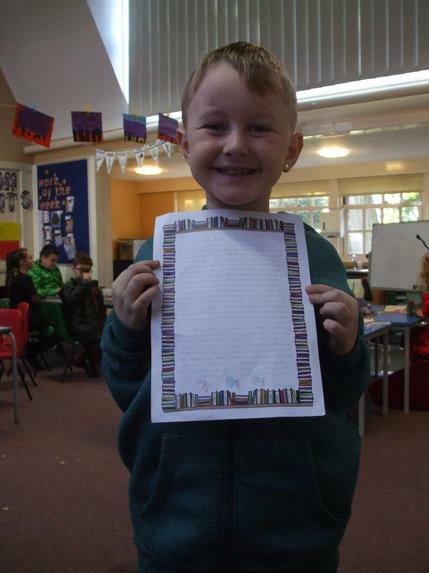 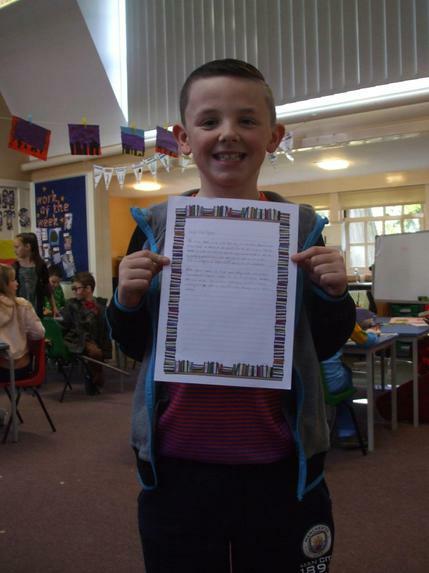 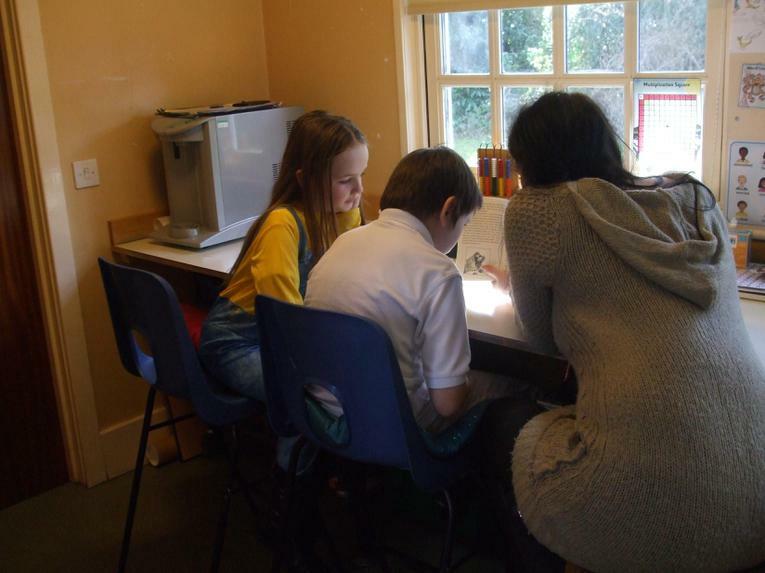 Here are some photographs of the children with their super work! 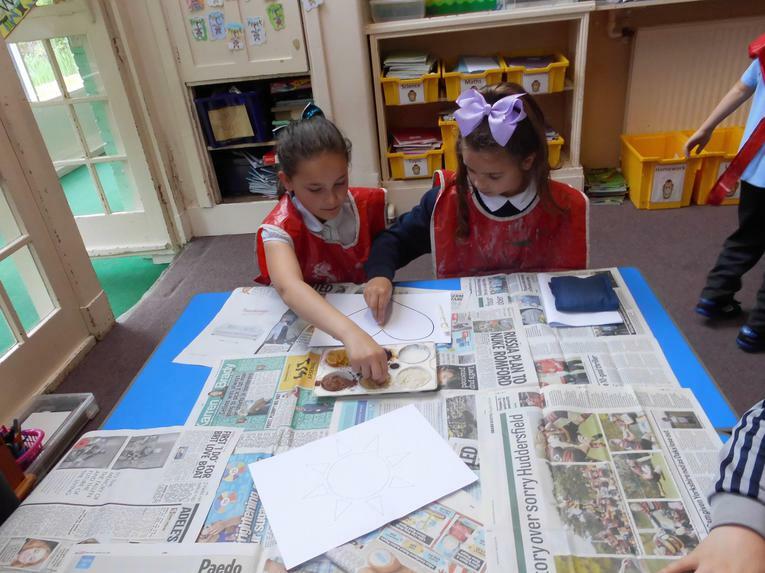 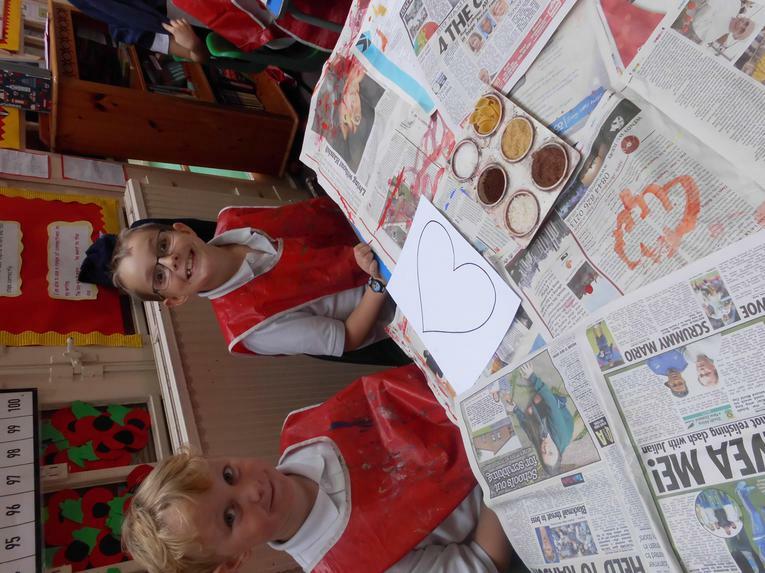 Year 4 are very proud of their art work. 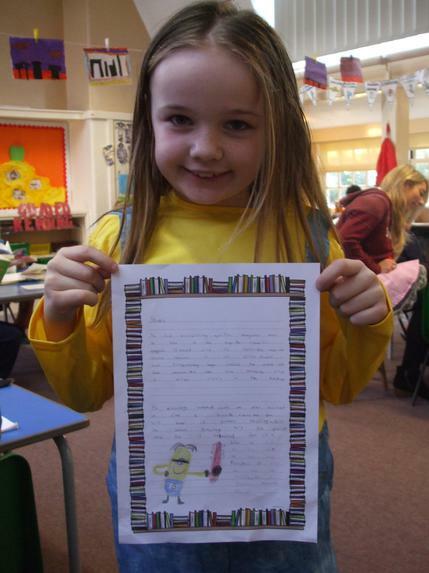 Here is some fantastic pieces of work the children completed last term.